A new thriller about a lone young cop on the trail of a powerful killer determined not just to stop her, but to make her pay. The information about Sunrise Highway shown above was first featured in "The BookBrowse Review" - BookBrowse's online-magazine that keeps our members abreast of notable and high-profile books publishing in the coming weeks. In most cases, the reviews are necessarily limited to those that were available to us ahead of publication. If you are the publisher or author of this book and feel that the reviews shown do not properly reflect the range of media opinion now available, please send us a message with the mainstream media reviews that you would like to see added. 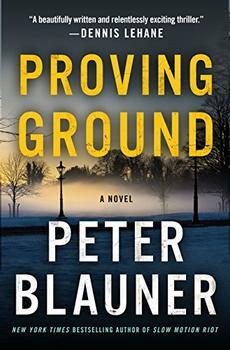 Peter Blauner is an Edgar-winning, New York Times bestselling author whose novels include Slow Motion Riot and The Intruder. He spent the 1980s covering crime, politics and other forms of socially-abhorrent behavior for New York magazine. For the past decade he has been working in television, writing for several shows in the Law & Order franchise and the CBS show Blue Bloods. He was born and raised in New York City and currently lives in Brooklyn with his wife.